Home » Commodities » Investment » Spread Betting – The Affordable Way to Invest in Gold? Spread Betting – The Affordable Way to Invest in Gold? 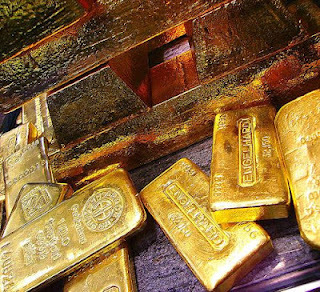 The price of gold is very expensive these days (since the beginning of the century, the price of gold has increased five-fold), providing it with continuing allure and the prospect of a safe port in the economic storm. This makes plans to invest in gold very attractive – but also seemingly expensive. So how can the ordinary investor get in on the action without possessing a vast amount of capital? As with all commodities, supply and demand greatly informs the price of gold, and speculation about these factors also has its effect. What makes gold different is the fact that possession of the commodity is by far the most important thing about it, unlike for instance oil, which is the world’s premier energy source. As a result, trading and speculation in gold behaves more like currency trading – although its relative scarcity both keeps its value high and makes it non-viable as a genuine form of currency. One relatively easy way to enter into the lucrative market of investing in or trading on the price of gold is via spread betting. This is a form of derivatives trading, and so does not require ownership of the asset itself. Nevertheless, a spread bet allows the investor to make money from the ups and downs of the price of gold, betting on whether the price will rise or fall. If the investor’s prediction is correct, then the profits made are equivalent to the initial stake, multiplied by each point of movement in the market. Due to the intense levels of trading on the gold markets, and the subsequently intense price fluctuation, many spread clients see the precious metal as a very good investment. This is also because of the stability of gold as a commodity, with traders choosing to invest in gold to protect against inflation and better weather the storms of a volatile market in difficult economic times. To get some idea of the enduring stability of gold, one only has to note that its spending power (the amount of goods one can buy with an amount of gold) has remained broadly the same for the past 700 years. There are of course risks, however. All forms of betting carry with them a degree of risk, and an investor can find that more than just their initial capital has been lost. Spread betting is not a guaranteed “gold mine”, and reputable asset management services can offer trustworthy advice to any investor thinking of going down this path. Learning how to spread bet could be a viable option to earn money to pay off your debts.